Donald Trump’s proposal to close US borders to all Muslims yesterday has gone down like a fart in a lift with most reasonable members of society. 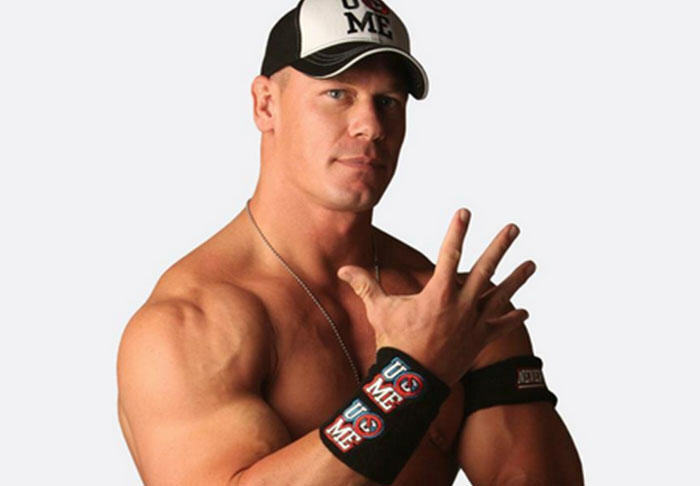 John Cena is one such member. The WWE superstar grabbed his chance to condemn Trump’s proposal on the Today show live to the nation. Cena was there to promote his part in Amy Poehler and Tina Fey’s new film, Sisters, but Trump’s ridiculous comments inevitably raised their head. He is bold, he is brash, this is bold, and this is brash. I’m with you, I don’t know how it works out. The last time we did anything like this was in World War II, and that was one of the more reprehensible acts by the United States of America. “We are the melting pot, except for you.” That does not go along with our DNA. Trump is being trumped, there’s no other way to say it. John Cena calling it as he sees it, but will his words deliver the ‘Attitude Adjustment’ Trump so desperately needs?